Here at Louisville Homes Blog, we have data on just about every aspect of Louisville real estate. Mouse over the Housing Reports tab above and see all of them! We update the average home price in Louisville Kentucky each month. 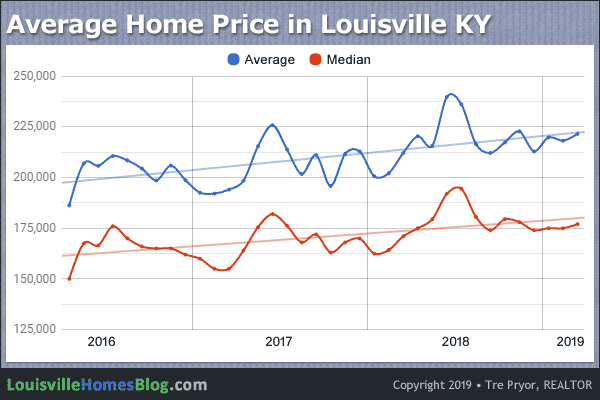 We track both the median and average sales price for homes sold in Louisville, Kentucky for the past 36 months. To clarify, people think of “Louisville” in many different ways. It used to be simply the Louisville city limit then the city and county governments merged in 2003. Currently, all of Jefferson County is considered Louisville. Practically speaking, many of us think of our neighboring counties (Oldham, Shelby, Spencer, and Bullitt) as being part of Louisville, as well. Who am I to say they’re wrong? But for the purpose of this page tracking the average home price in Louisville, we’re just going to focus on all of Jefferson Couty. Below you’ll see the most recent chart for both the average and median prices for going back three years. Per this chart, the current average home price in Louisville is $221,592. 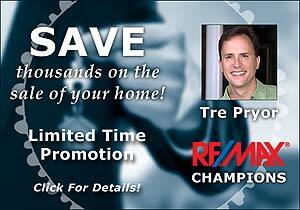 The median price of homes sold this past month is $177,000. Lastly, we track all of Louisville home sales (Jefferson County) for the past six years in a handy, easy-to-read chart, as well. So, if there’s anything we don’t have that you’d like to see, just contact us! We’re a bunch of number geeks so new projects are always welcome!